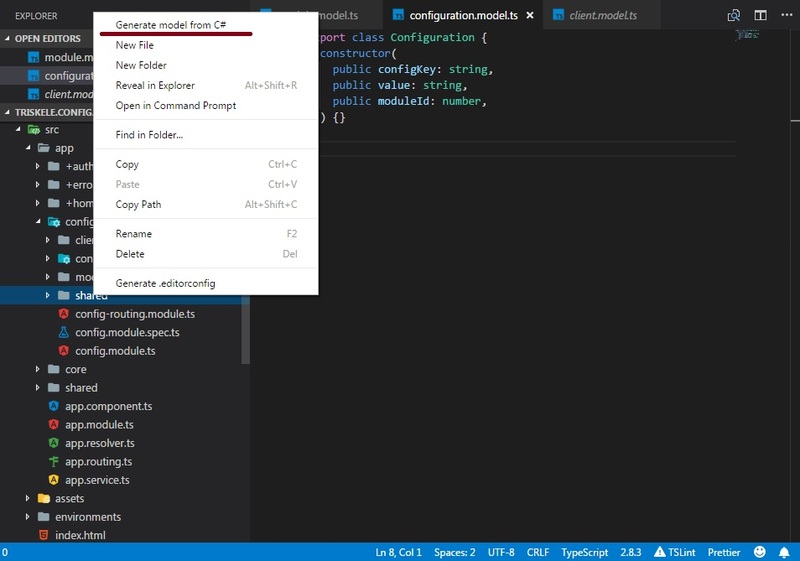 Visual Studio Code>Other>Generate model from C#New to Visual Studio Code? Get it now. This extension create TypeScript model from C# entity class.